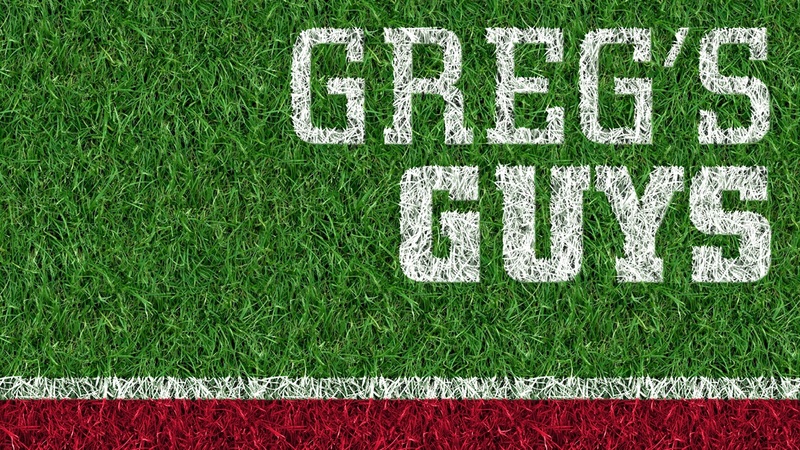 The August edition of Greg’s Guys is here! There has been some movement in the top 10 since the July list as all the summer camps have concluded and prospects are setting up official visits. There was also a Nebraska commitment in the last month as WR Cameron Brown got back into the fold. Also, the Huskers lost a wide receiver, Manny Allen, which has caused one player on this list to seemingly increase his interest in Nebraska. The list is always fluid and that’s what makes it fun! His athleticism and desire to be great make him a true program changer at the CAT outside linebacker spot. Nebraska would love to have him and it sounds like they will host him for the Wisconsin game, which is shaping up to be once of the biggest recruiting events in Husker history. One of the most sought after recruits in Oregon history. His recruitment has been relatively quiet for a prospect of his caliber but the Huskers have locked in an official visit. He’s an early enrollee but expect his recruitment to go the distance or at least until after he takes all five visits. We have our first new player on the list. The rangy wide receiver has all the tools to be a dominant college player. Hall has great size (6-3 185) to be a major red-zone target to go along with good speed and route-running ability. Pulling players in L.A. away from USC is tough but buzz continues to build that Hall is looking to leave home to play college football. He has a great relationship with wide receivers coach Keith Williams and is looking to set up an official visit. Don’t underestimate the familiarity California wide receivers have with both Tristan Gebbia and Patrick O’Brien who are both California products. Griffith is a super talent that projects to play safety in college. He remains high on the list due to his talent but it does feel like Nebraska is falling behind Florida State in this race. It’s imperative that Nebraska gets his mom on campus for the official visit if they have any hopes of closing that gap. Tutt now wants to take all five official visits so a decision may not come as soon as expected. I still feel good about Nebraska’s chances here but this one may extend further into the season than expected during the summer. Alabama, Florida State, Georgia, Ohio State and USC are still factors for Tutt. Typically, you won’t find many 3-star players this high on my list but Carson may be a bit under the radar as a 3-star prospect. His impressive offer list backs that sentiment up. Alabama, Georgia, Miami, Ohio State and Oklahoma are among the schools chasing him. He is quite active on social media with his interactions with Husker commits which can’t be a bad sign. Our second newcomer to the list is a safety with good instincts while the ball is in the air. He also has very good recovery speed. He holds an offer from Nebraska and has a good relationship with cornerbacks coach Donte Williams. He is the teammate of top-three Greg Guy, wide receiver Jalen Hall, at Long Beach Poly High School. The duo could be this year’s package deal that Nebraska goes hard after. Nebraska made the top 12 for the talented defensive lineman out of Missouri back in May. His recruitment has been pretty quiet but the sense is that he will take all of his official visits and decide in February. Adding Brown back to the class will help with his recruitment. Perkins could also benefit from Nebraska having a couple of extra scholarships due to attrition. The 4-star wide receiver is a smooth route runner for his age and the sky would be the limit if he gets coached by Williams. He is currently scheduled to attend the season opener against Arkansas State but has expressed interest in visiting with Huskers commits Joshua Moore and Brendan Radley-Hiles. Nebraska likely turned up the heat on his recruitment after Manny Allen left the class. The Huskers were in early, getting Beresford to their Friday Night Lights camp on June 16. That could pay big dividends as he’s built a fantastic relationship with the Nebraska coaching staff. However, Nebraska is far from the only Power 5 offer as Arizona, Arizona State, Oregon State and Washington State have entered the picture. Also, Boise State is in the mix and is where his dad played in the early 1990s.